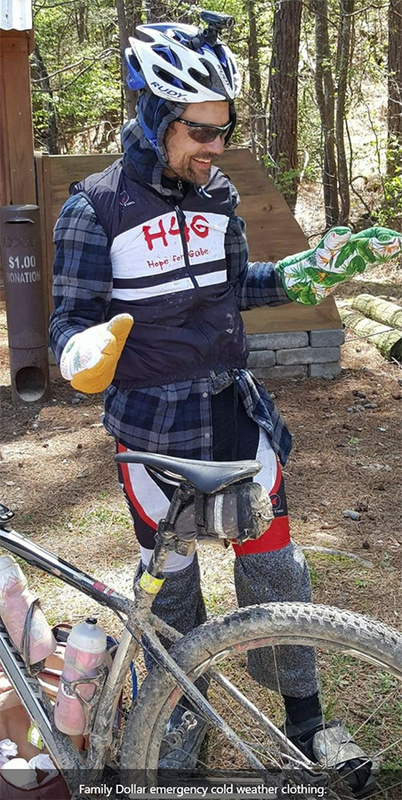 Cycling Adventures with Brian Toone | Follow the crazy adventures of an Alabama cyclist all over the world. Ice beard less than halfway through the ride. Fun adventure in the north woods of Northern Minnesota today. I rode from the lowest point in Minnesota (Lake Superior, 603′) to the highest point in Minnesota (Eagle Mountain, 2301′). It was a tough ride with lots of uncertainty. I had attempted this same ride in 2016, but failed. In 2017, I was hit by a car a month before our Christmas trip and was still on crutches while the rest of the family went skiing. This year, I had set aside a day to forgo skiing and try this same ride again, but this time a bad winter storm was bearing down supposed to hit about the time I made it back to the cabin. 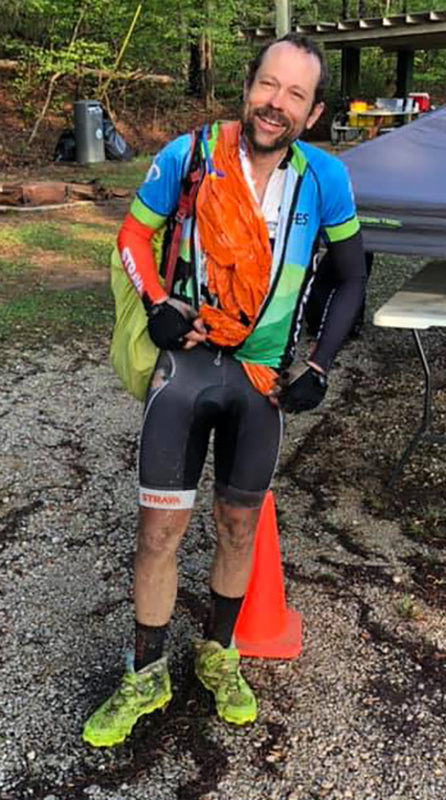 Lots of uncertainty – the only thing in my favor this year was warm temps in the teens, but that was actually a problem as I sweated a ton and had one water bottle for an 8 hour ride. I have been on some fun adventures on the bike over the years. Here’s all the state high points I have climbed on my bike in reverse order of when I climbed them. Minnesota and Florida are special, though, in that I have now ridden in both of them from the lowest point to the highest point of the state in a single ride. South Carolina is interesting, too, in that I rode from the highest point to the lowest point in the state in a single ride, but not the other direction. Ok, let’s get back to this Minnesota adventure. In 2016, I was thwarted by lots of snow and a late start after skiing half a day. I made it to the start of the trail at sunset (without a light) only to find the trail covered in half a foot of new snow from the day before plus who knows how many feet of snow under that. I tried to ride the first few feet and slid out and decided it just wasn’t going to happen. I made it home well after dark (almost 7pm). I vowed to come back the next year and start earlier in the day and take a light. Here’s a timelapse video of the first 9 miles of the ride before my battery died in the cold. In 2017, I was recovering from surgery on my foot after being hit by a car traveling 45-50+mph on a county road south of Birmingham. I was going 13mph up a hill at the time of impact. Very, very thankful that my worst injury was a torn-up foot. I impacted the car’s windshield which acted like a cushion and saved my life. The damage to my foot came afterwards sliding alongside the road after the driver slammed on his brakes. I have no memory of the collision or aftermath. My memory from before is spotty, too, the only thing I specifically remember is stopping at the gas station in Sterrett to buy gatorade about 10 miles before impact. I was on crutches while the family went skiing. Our plan for this year included three days of skiing, but we only bought a two-day pass for me so I could try this ride again. The weather forecast for Lutsen down on the lake was for a temp in the low teens rising to the 20s by the afternoon with a big winter storm coming. 12-18inches of snow predicted with wind gusts blowing to 35mph starting by about 4:30PM. My worst case scenario would have me back to the cabin by about 4PM, so I thought I was safe. 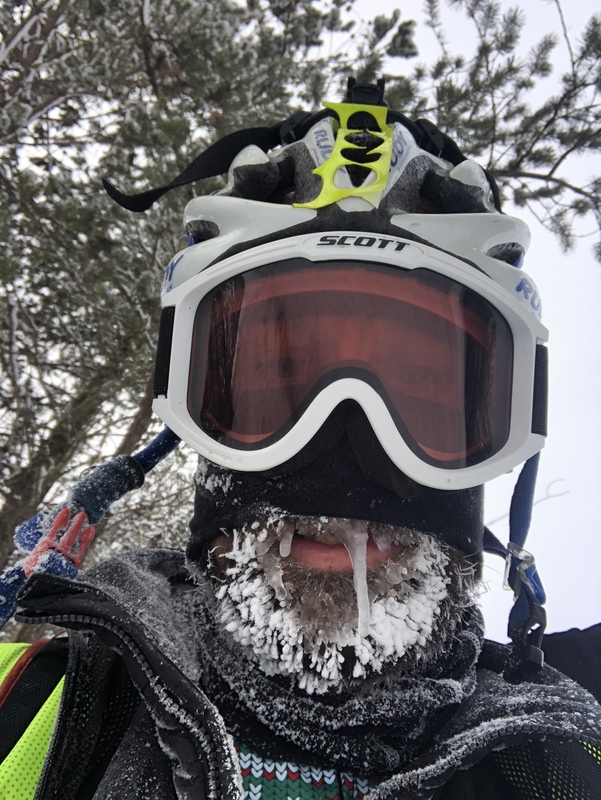 This entry was posted in Adventure, Training and tagged epic, fatbike, snow on December 27, 2018 by kartoone.